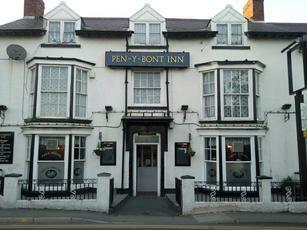 This pub has recently re-opened as the Coach House and was my favourite pub in Abergele. Although there's not really much to choose from. Live music was being performed on my Saturday night visit. A rock band was playing and the place was reasonably busy with a good mix of customers. A group of people were still finishing off a meal. A bit loud for me. But they did have a good selection of 4 local ales - Facers This Splendid Ale, Landslide & Abbey Red & Great Orme Celtica.